If you're looking for an easy no-bake dessert, this quick and easy Cool Whip pie recipe is the one to try. It will be a welcome treat on a hot summer evening, especially when served with fruit that is in season. It only takes five minutes to make if you have a ready-to-use graham cracker crust. You pop it into the freezer for a couple of hours to firm it up. Once in the freezer, it will keep for days, so you can make several ahead of time. This light pie is fairly low in calories for a dessert. 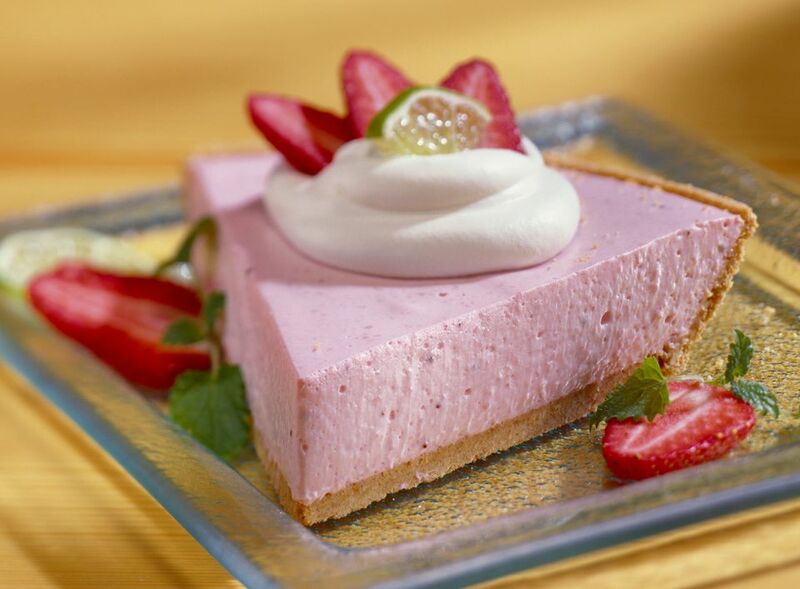 To reduce fat and calories, this recipe can be made with reduced-fat or no-sugar varieties of Cool Whip, yogurt, and graham crackers. The ingredients come pre-measured if you buy a small container of Cool Whip, which is typically 8 ounces, and three containers of flavored yogurt, which are 6 ounces each (or two 8-ounce containers if that is what you find). You get to choose the flavor of yogurt, so you can make a wide variety of pies with this simple recipe. Get your kids involved as it can't be easier when you have only three ingredients and no baking. In a mixing bowl, thoroughly combine the Cool Whip and yogurt until smooth. Pour the yogurt and Cool Whip mixture into pie crust and freeze until firm, about two hours. Remove the pie from freezer approximately 20 minutes before serving. Serve your pie with fresh fruit. Cover and refrigerate any leftover pie. To give it a fancier look, slice fresh fruit and arrange the slices on top before you freeze the pie. Depending on the weight of the fruit, you might freeze the pie for an hour before adding the slices or whole fruit. Think of strawberry slices, peach slices, cherry halves, mandarin orange segments, blueberries, raspberries, or blackberries. Use your own fruit from your garden or go to a farmers market or farmstand to enjoy what is in season. This recipe keeps it simple by using a store-bought graham cracker crust, but making your own graham cracker crust or cookie crust is very easy. If you have just a few more minutes, you can try your hand at doing that. When you make your own homemade pie crust, you can have fun with the flavor combinations, and you can even make a sugar-free graham cracker crust. Use vanilla cookies for a cookie crust and a lemon yogurt filling, for example, or chocolate cookies and coconut flavored yogurt with coconut flakes on top. There's really no wrong way to make a Cool Whip pie.